A name is an important part of one’s identity, and fortunately, it’s able to changed for a variety of reasons. Whether you need to change your name, or your child’s name, our Missouri attorneys are here to assist you in navigating the official name change process, from start to finish. When you work with a Family Law attorney who has specific experience in the legal name change process, you can safely avoid many of the common pitfalls and challenges that clients face when working through the paperwork, fees, and possible court appearance involved in a Legal Name Change. Keep it simple and work with a professional to tie up all the loose ends regarding your legal identity. Assets and contracts including leases, mortgages, and car titles will all need to be changed. Once you have decided upon your new name, it’s time to contact a qualified Family Law attorney. Setting up a consultation with a Piatchek Family Law attorney is easy, just use the contact form on this page, or speak with us directly at 417-882-5858 to get started today. Your attorney will file the case in the Circuit Court of the county in which you reside. Your attorney will work with you to prepare the necessary paperwork, including an official petition for a Legal Name change. Information you will need to disclose includes your home address, your desired full name, and a record of any current debts or pending criminal charges. It is important to work closely with an attorney while preparing Name Change paperwork as your petition could be denied by a Judge if it contains incorrect or missing information. Next, the person requesting the change will sign the petition in the presence of a notary, after which the case is ready to be filed and processed by the Circuit Clerk’s office, where it will be assigned to a Judge and issued a case number. Missouri law, unfortunately, does require a court appearance for all official name change requests. 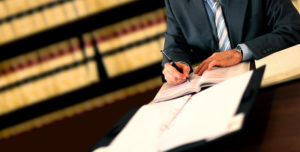 But don’t worry, our Family Laws attorneys are experienced and well versed in these procedures, and will be there to guide you every step of the way, ensuring your court appearance is smooth and pleasant, by preparing everything beforehand, and double checking any paperwork which could create issues. Our attorneys will sit down with you to discuss the process of a Name Change in Missouri and the time frame to complete the process. If you are facing another Family Law scenario, whether it be divorce, modification, or another matter entirely, please contact us at 417-882-5858 to schedule a complimentary consultation so that we can discuss your Family Law issues, and answer any questions you may have.